In the 1890s, when cinematography was in its infancy, Queen Victoria was one of the first monarchs to appear on film in what effectively marked the first royal newsreel. This occurred in 1896, when moving pictures were taken of the royal family at Balmoral, during a visit by Tsar Nicholas II of Russia, his wife Alexandra and their baby daughter Olga. The queen was very impressed with these first ‘animated pictures’ when they were shown to her at Windsor and pronounced them to be ‘a very wonderful process’. This early, jerky footage of the aged queen supported by a stick, among her youthful grandchildren, or sitting in her small pony phaeton, would soon be augmented by footage of the poignant parades at her funeral in 1901. The images serve as a visual watershed of the passing of the old, Victorian age and the beginning of a new age that would be culturally transformed by the advent of the cinema. Ever since the invention of the movies, Queen Victoria has been the subject of dozens of interpretations on film. Every generation has had its own take on the queen; some have fallen into the trap of the stale old stereotypical view of her as the grumpy old widow; a few have captured the verve and charm of the spirited young queen; and one or two seminal dramatizations have brought a deeper understanding of Victoria’s very complex personality. The first Hollywood portrayal of Queen Victoria came in an early talkie, Disraeli (1929), in which Florence Arliss played Queen Victoria to her husband George Arliss’s Disraeli. 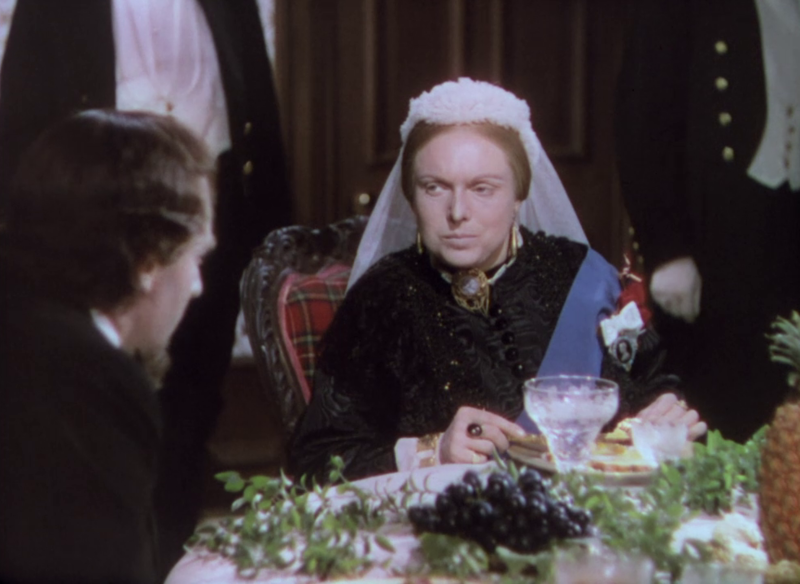 But the actress who for decades set her stamp on Queen Victoria was the British star Anna Neagle, who played opposite Anton Walbrook as Prince Albert in her director husband Herbert Wilcox’s 1937 black and white film Victoria the Great. Prior to this, there had been a royal embargo on any British film representations of recent monarchs, especially Victoria. Released to coincide with the 100th anniversary of Queen Victoria’s accession, Victoria the Great was made at the specific request of Edward VIII who himself had just come to the throne. But the permission of the queen’s surviving children – Louise, Arthur and Beatrice – also had to be obtained. 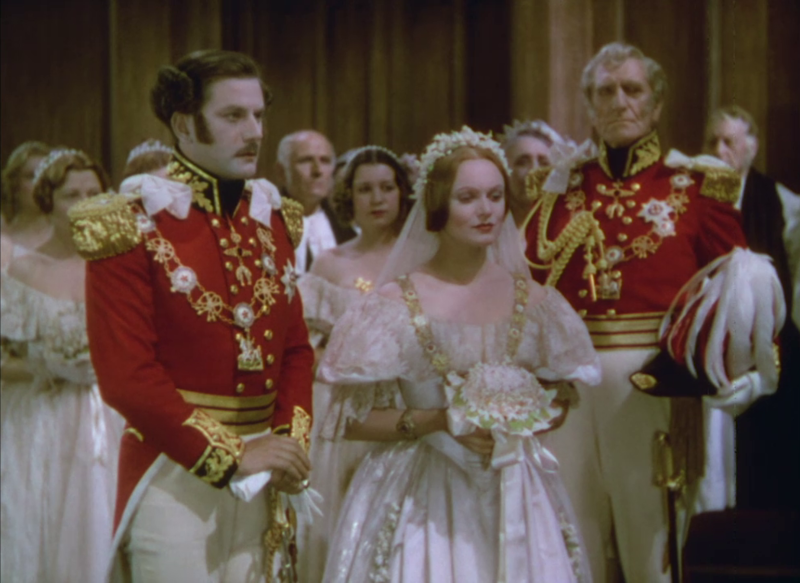 The resulting affectionate hagiography was so popular with cinema audiences that Wilcox and Neagle made a sequel – Sixty Glorious Years – in colour a year later, which looked at the queen’s life from a more political angle – as monarch – and which included much footage that had had to be cut from the 1937 film. Neagle’s costumes for the film were copied from surviving originals worn by the queen that had been preserved in the British Museum. Other British film actresses who tackled this demanding role were Fay Compton in The Prime Minister (1940), Irene Dunne in The Mudlark 1950 and the great stage actress Dame Sybil Thorndike, who played Victoria in Melba(1953). But it was not till John Madden’s 1997 drama Mrs Brown that the next definitive Queen Victoria appeared on cinema screens, played by Judi Dench, opposite Billy Connolly as John Brown. So successful was Dench in the role of the ageing queen that she returned to it in 2018 in Victoria and Abdula film about the queen’s relationship with her Indian servant, the Munshi. In the meantime, Emily Blunt had given a spirited interpretation in Julian Fellowes’s 2009 film Young Victoria. Television, too has offered up numerous interpretations, beginning with the very first representation of Queen Victoria in Laurence Housman’s 1964 series Victoria Regina. This four-part series, shot in black and white, starred the British actress Patricia Routledge as Queen Victoria. It was adapted from four stage plays by Laurence Housman(1865-1959) entitled Victoria Regina: A Dramatic Biography.  They were originally written as‘a loosely connected sequence of ten vignettes from before Queen Victoria’s accession to her Diamond Jubilee’ as a series of one-act dramas. But the British censor had banned them (Houseman’s plays about the Holy Family were also similarly banned). A selection of the plays was staged privately in 1935 at the London Gate Theatre, with Pamela Stanley as Queen Victoria; that same year they were presented to great acclaim on Broadway, starring Helen Hayes as Queen Victoria. In England, Edward VIII personally intervened in 1936 and gave Victoria Regina the royal seal of approval so that they could be licensed for public performance. In 1937 it was staged at the Lyric Theatre in London’s West End – again with Pamela Stanley; and later had a much acclaimed New York run with Helen Hayes. The plays were also the basis of the scripts for Herbert Wilcox’s 1937 and 1938 films (see above).